Hessian sheeting in stitched sheets 4m x 4m with eyelets every 8". Hessian sheets are used to protect lime pointing and lime render to slow drying time. Our unique double thickness and treble thickness Hessian Sheeting is ideal for frost protection. 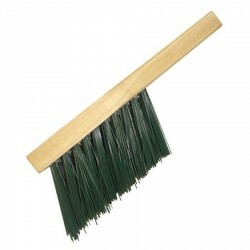 Hessian sheeting supplied in stitched sheets, used to protect lime pointing and rendering to slow the lime drying time. Our Hessian sheets are made with a high quality heavyweight material 305 gram fabric. We double and treble our Hessian sheets and stitch them for added water absorbency and frost protection. 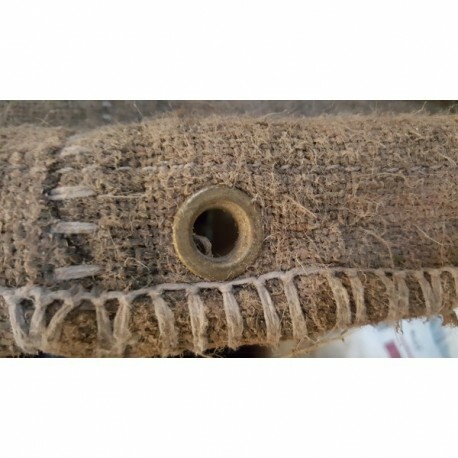 For ease of use when hanging your Hessian on your building we have eyelets every 8"
The stitched hessian sheets should be soaked under water for at least 3 days before use. Once the double or trble thickness hessian sheeting has become fully porous, it will not need to be soaked again. On warm, still days the hessian sheeting should be placed over the lime pointing or rendering etc as soon as possible. 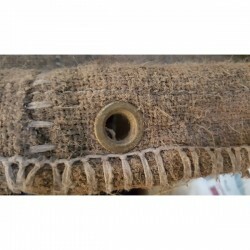 This can be done by hanging the double thickness stitched hessian sheets from the scaffolding or roof using the eyelets that have been stitched every 8", it may also be necessary to hang the hessian from nails hammered into in the wall, on very warm days two or three coverings may be needed. The heavyweight 305 gram fabric hessian sheets should be sprayed with water before it completely dries out. This process should be repeated for about 2-3 days, shorter or longer periods may be necessary depending on weather conditions. Option 1 4M 6M 305 gram, double/treble thickness with eyelets every 8"
Option 2 4M 4M 305 gram, double/treble thickness with eyelets every 8"
Option 3 2M 3M 305 gram, double/treble thickness with eyelets every 8"
Option 4 1M 4M 305 gram, double/treble thickness with eyelets every 8"